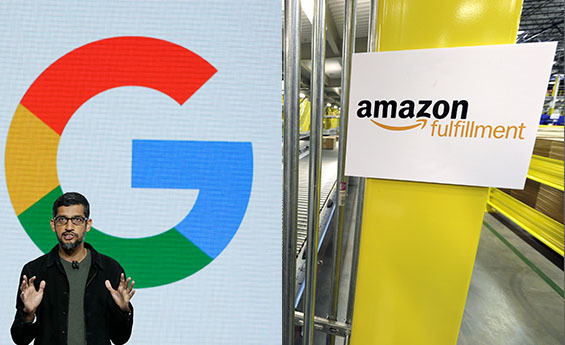 The two largest companies in the world recently became the first corporations to reach valuations in excess of $1 trillion. 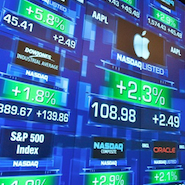 Last week, Apple (AAPL) became the first to hit the milestone, currently with a market capitalisation of $1.1 trillion. In Tuesday morning trading, Amazon (AMZN) became the second in the elite club, before the stock pared back slightly to leave it, again, teetering on the brink with a market cap of $973 billion. Robin Geffen, founder and chief executive of Neptune Investment Management, expressed his surprise it took Amazon so long to reach the milestone. It won’t be long before Jeff Bezos’s behemoth permanently joins Apple. So, how long until this duo becomes a trio – or more? There are a couple of US stocks that don’t have too far to go, while four others are halfway there. We profile those next in line for 12-figure valuations. Microsoft floated on NASDAQ on 13 March 1986 at a modest $21, valuing the profitable tech firm at just over $500 million. An investment then of $10,000 would now be worth almost $17 million, according to Morningstar Direct. The stock is up around 20% since early April to trade at $108 currently. It needs a further 20% rise to around $130 in order to break through the $1 trillion barrier. Morningstar analyst Andrew Lange values the firm at around $940 billion, with a fair value estimate of $122 on the stock. Microsoft began paying a quarterly dividend in 2005 and, since that time, it has increased the payout every year bar one, 2010, meaning it’s a key player in US and Global equity income funds. Not far behind Microsoft is Alphabet, the holding company for search giant Google. In fact, some reports at the time suggested the pair had looked into a merger shortly before Google floated on 19 August 2004. Google’s IPO was priced at $85, giving it a valuation of around $23 billion. In the 10 years hence, the share price has grown 12-fold to $1,199; a $10,000 initial investment would now be worth nearly a quarter of a million dollars. In order for the firm to hit the $1 trillion mark, shares need to advance 18% to around $1,420. The world leader in online search, with market share above 80%, the firm generates strong revenue growth and cash flow, with its video streaming website Youtube set to contribute more and more to the top and bottom lines over the coming years. Morningstar analyst Ali Mogharabi has a fair value estimate of $1,300 on the company, valuing it at $915 billion. This list is dominated by US firms, with two State-side companies coming in next. Warren Buffett’s conglomerate Berkshire Hathaway (BRK.A) is the only other listed entity that is valued in excess of $500 million, at $520 billion currently. Facebook (FB) has had a tough year and has slipped below the half a trillion mark to trade at $494 billion today. Still, plenty of fund managers are sticking with the social media giant. We then reach our two non-US corporates, though one is listed on the New York Stock Exchange. That is Alibaba (BABA), the Chinese e-commerce giant, which has a market cap of $422 billion. However, it is beaten into fifth place of the most valuable companies in the world by compatriot Tencent (00700). Despite shares today hitting a 13-month low as investors continue to turn bearish on the stock. The share price has lost a third of its value – or $200 billion – since early January. That leaves it valued at $452 billion. Still, Morningstar analyst Chelsey Tam is bullish on the stock, with a fair value estimate of 590 Hong Kong dollars suggesting 88% upside. That would translate to a valuation of $823 billion.